I have noted a number of status updates on Facebook over the past few weeks that mentioned this concept of “wife material”. Some had lists, others merely asked what exactly does this concept of “wife material” mean. This also got me thinking, and these are some of my thoughts on the matter. Firstly, I must add a few disclaimers. Okokuqala (firstly) I am not a relationship expert and I do not claim to be one. Secondly, no two relationships are the same, so what I am writing does not necessarily apply to most or all relationships. Now that we have the pleasantries out the way; the fairy tale goes as follows… girl meets boy, boy courts the girl and wins her heart, boy proposes, they get married and live happily ever after with two children and a Labrador. But what happens when the fairytale does not quite follow the script? There are many reasons why marriage is still held in the high regard that it is to this day. Society has advanced in many aspects yet this centuries old institution is still sought after. So what is it about marriage that is so appealing? From a female evolutionary perspective it represents security, it represents stability for one’s offspring and a consistent environment in which to raise those offspring. I am sure men have their own reasons, but I will just address the female perspective for now. I have a huge problem with these wife material lists, and as such I will not use up my time and energy even debating their merits. I propose (no pun intended) that we approach the concept of marriage and marriage material from a different angle. To do so we need to start at the very beginning. 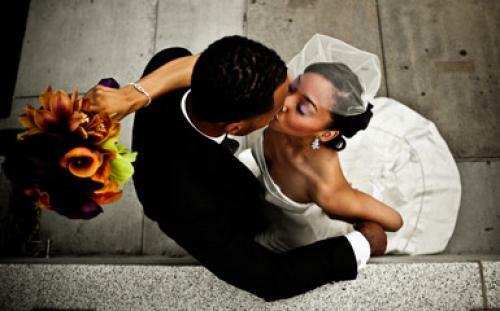 Marriage and meeting your life partner starts even before you meet the potential love of your life. Once again, I am speaking to my sisters here, as I cannot speak for the men, one would suspect that they go through their own process, andazi (I don’t know). It starts with knowing and loving who you are, your values and what matters most to you. This step is so crucial and cannot be over emphasised ladies. When two potential partners meet, they are initially attracted to each other by physical appearances. There is nothing wrong with that, however the relationship must quickly move from this initial phase to the next one, which I will call a “meeting of minds” for lack of a better term. Ladies, this is the part where you determine if you and this man share similar views and values. This is the point where if your values are not aligned, you should run a mile and never look back. What I have observed to be one of the main determinants of whether or not a man thinks you are for keeps or if he should keep looking is the way your mind works. Yes, he is into the physical aspects as mentioned, but what he is really looking for is a woman who can apply her mind to any situation that presents itself… a woman with problem-solving skills, and who won’t be overwhelmed by life’s challenges. A man needs to have a wife he knows has got his back at all times. This is a crucial one ladies, if your man feels he cannot depend on you in one way or the other he will not take you seriously as a potential life partner. The other aspect is respect, this is of upmost importance to a man, also a man thrives in an environment that affirms him and admires him and his abilities. The domestic Goddess part is neither here nor there and is not a primary determinant of whether or not he settles down with you or not. Beyond this there is not much else that you can or should do dear sisters. From his side he needs to be at a life stage where marriage is the next step and you have nothing to do with that aspect. Also he may be ready to settle but not with you, again there is nothing you can do about this. Communication becomes critical at this juncture, if you are not sure where you stand with a man, just ask him, if he is a decent person he will be straight with you, kukuwe (it’s up to you) then what you do with that information. Remember, if he shows you who he is, believe him the first time. These are words of wisdom from our beloved Mama Maya… words that I live by… may her soul rest in eternal peace. Lihle is a 27 year-old Xhosa woman originally from the Eastern Cape. She is currently pursuing a degree at the University of Cape Town. Her passions include reading, debating and making a meaningful contribution to society in her own small way. Her motto in life is “Live your truth”.